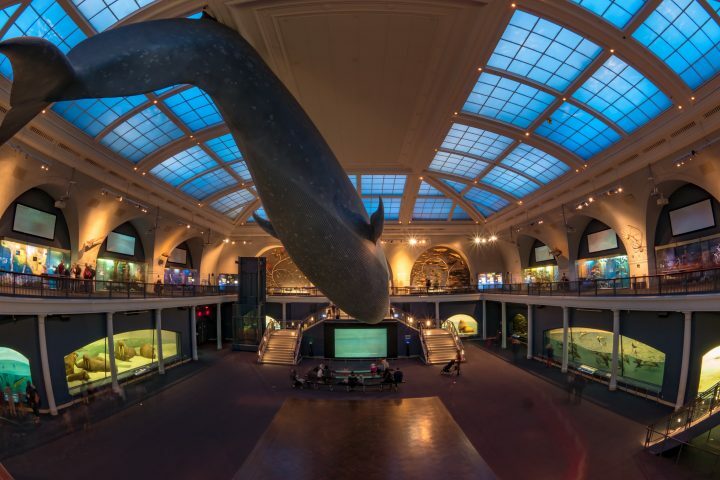 After pushback from museum staff and prominent scientists, AMNH has decided “that the Museum is not the optimal location for the Brazilian-Am. Chamber of Commerce gala dinner,” which is set to honor Jair Bolsonaro. The American Museum of Natural History (AMNH) in New York City announced today that it has canceled the booking of an event honoring Brazil’s far-right president Jair Bolsonaro at one of its halls. The cancelation follows an apologetic statement by the museum last week, in which it said it was “exploring its options” in relation to the booking. “With mutual respect for the work & goals of our individual organizations, we jointly agreed that the Museum is not the optimal location for the Brazilian-Am. Chamber of Commerce gala dinner,” The museum wrote on its Twitter page. “This traditional event will go forward at another location on the original date & time”. Friends, I'm sharing with you the letter I wrote today on behalf of the @AMNH LGBTQ Employee Resource group I co-chair with @LeahGolubchick. The “Person of the Year Awards” is an annual gala dinner hosted by the Brazilian-American Chamber of Commerce. The gala honors two people — one Brazilian, one American — who have had a major contribution to the economic ties between the two countries. Bolsonaro will receive the honor this year, as he rounds out a contentious first 100 days in office. In one of his first decisions in office, Bolsonaro issued an order to roll back rainforest protection in his country, allowing for more development and tree-clearing in the Amazon. Last Friday, New York City Mayor Bill de Blasio called Bolsonaro a “very dangerous human being,” and urged the museum to cancel the booking. “He’s dangerous not just because of his overt racism and homophobia, but because he is unfortunately the person with the most ability to be able to impact what happens in the Amazon going forward,” De Blasio told WNYC radio. In a statement last week, the museum expressed its “deep concerns” over the event, and said it was exploring its options. The museum said that the event was booked in spring last year, before Bolsonaro was secured as an honoree. The $30,000-a-seat tickets to the event have already sold out. The Brazilian-American Chamber of Commerce told Hyperallergic in a phone conversation that a new venue has yet been secured.